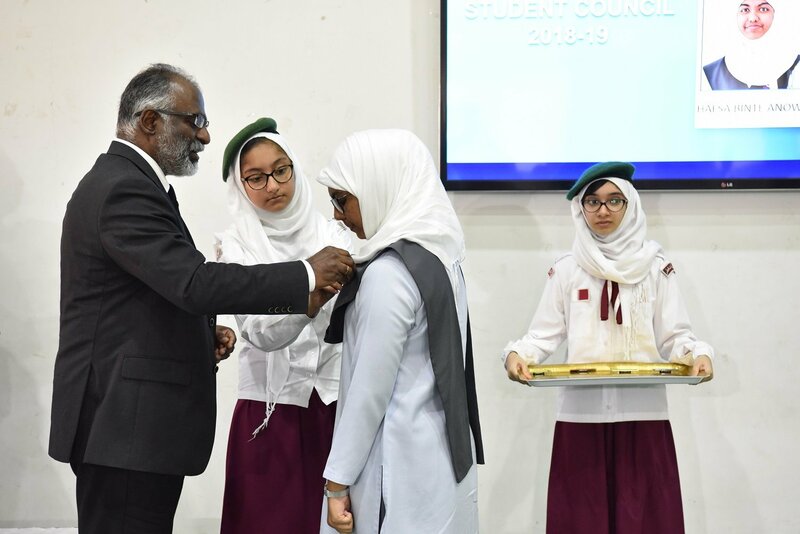 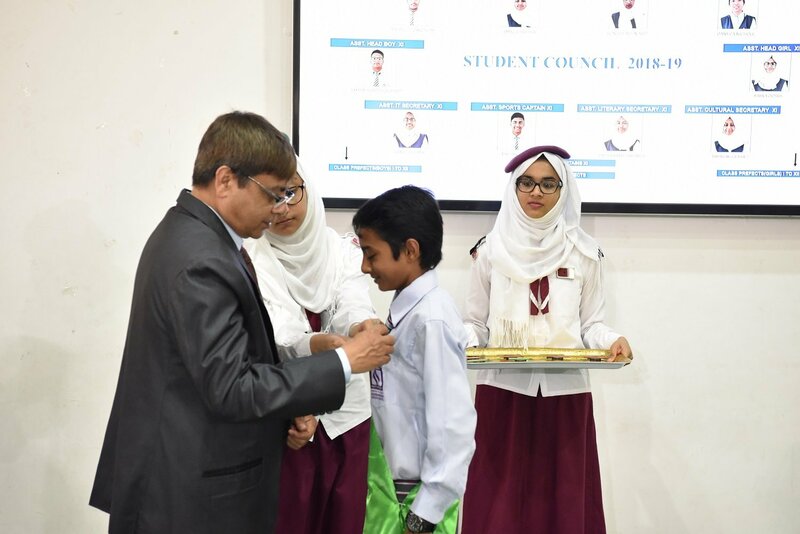 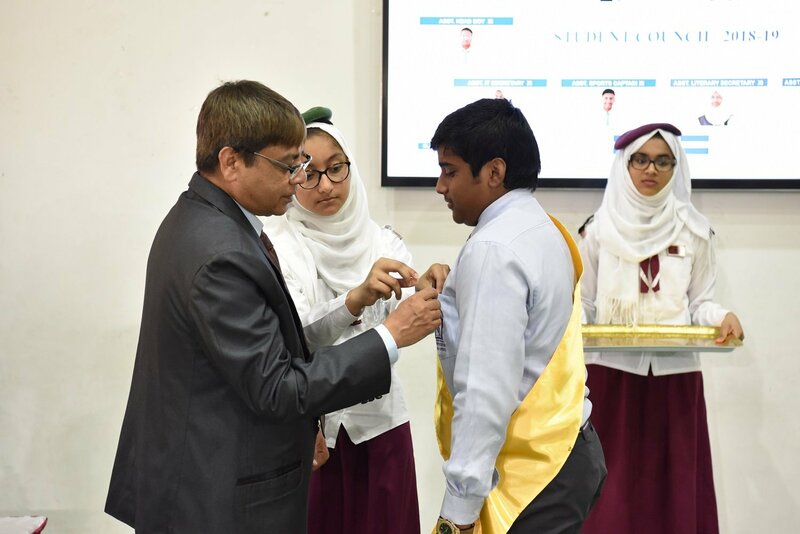 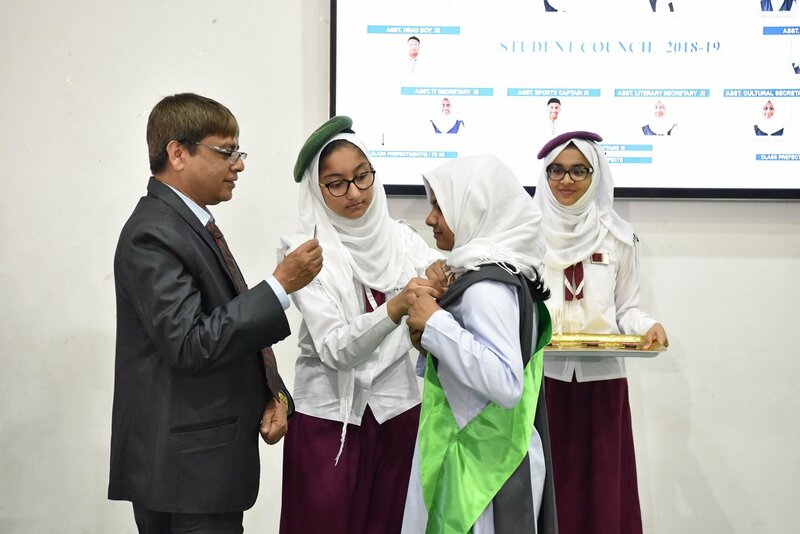 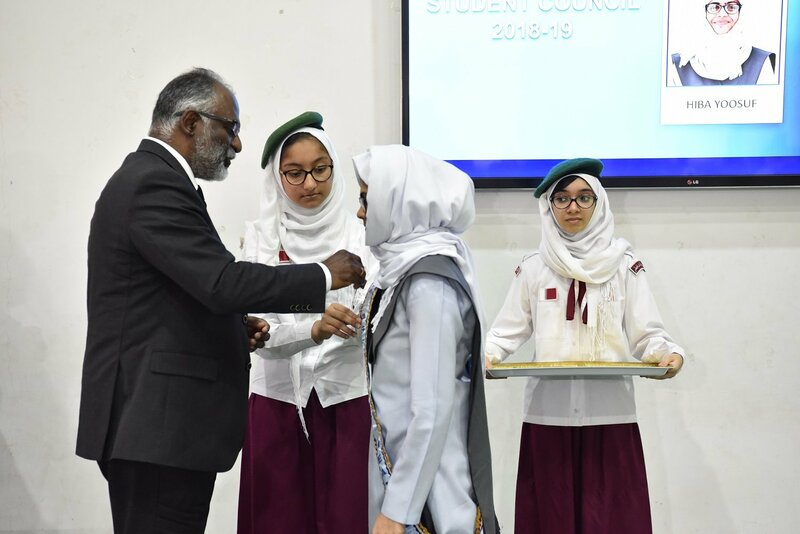 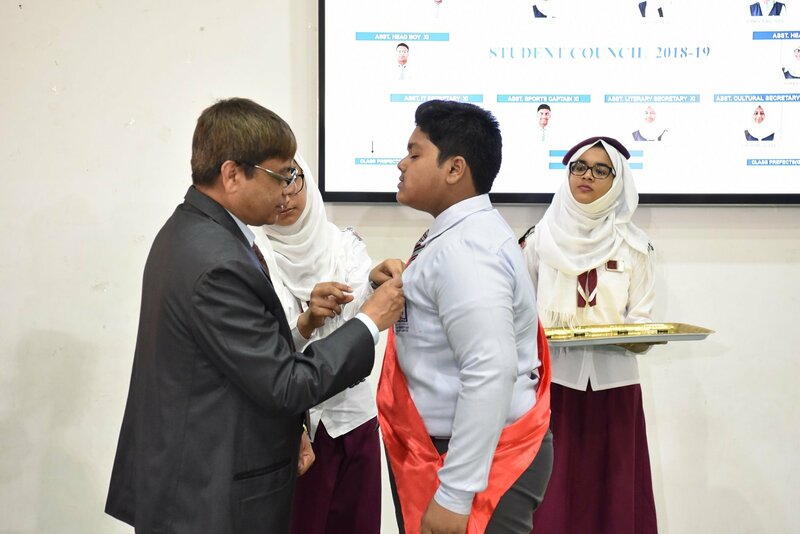 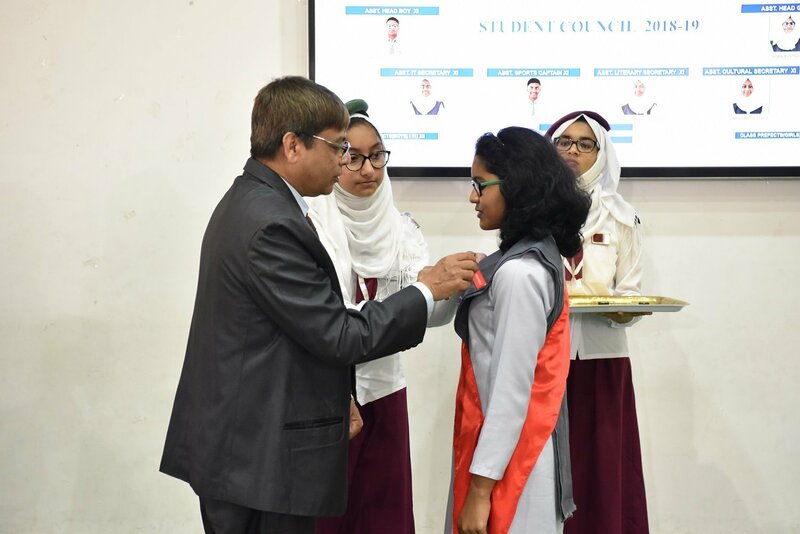 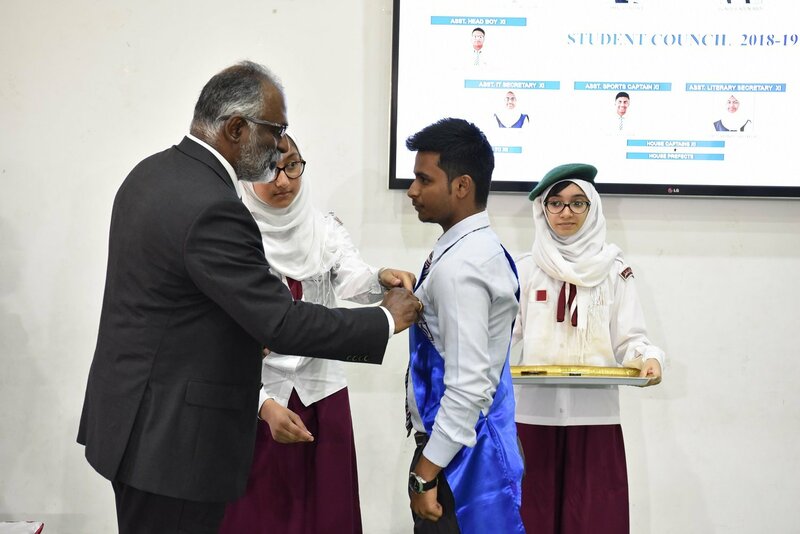 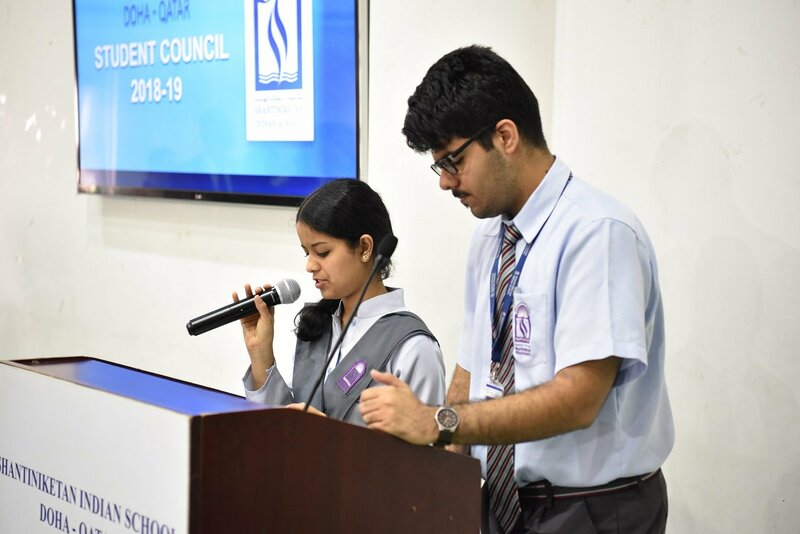 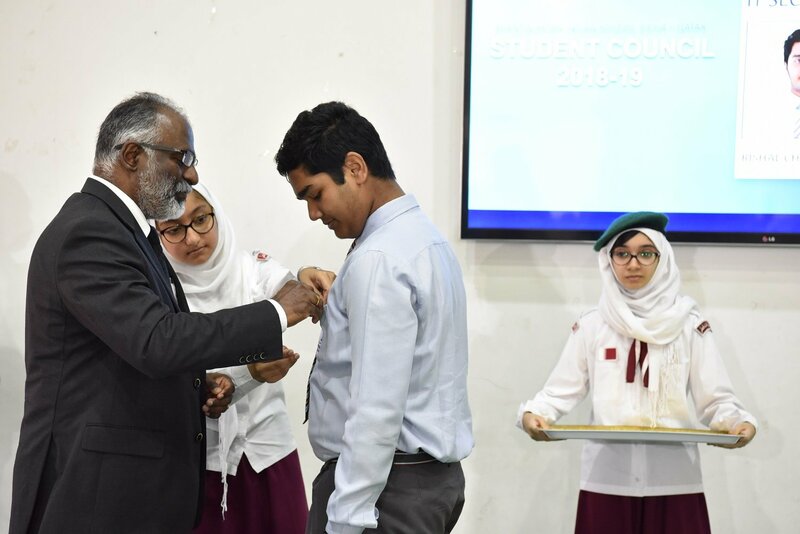 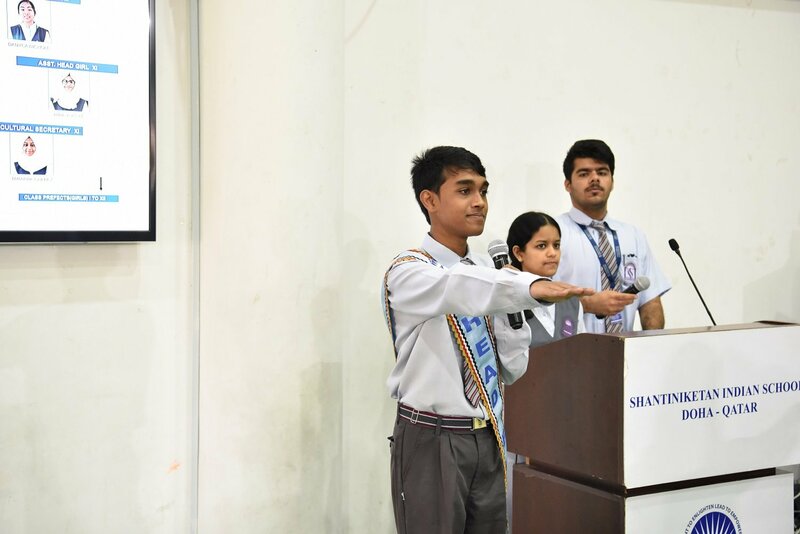 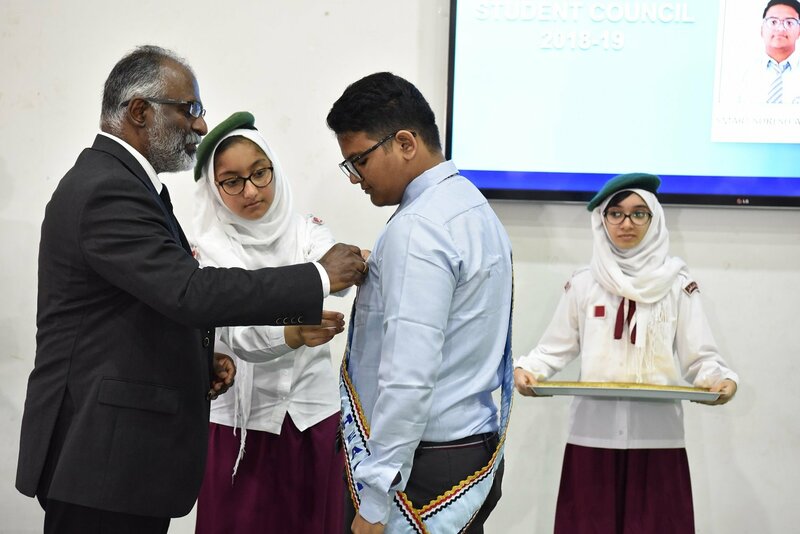 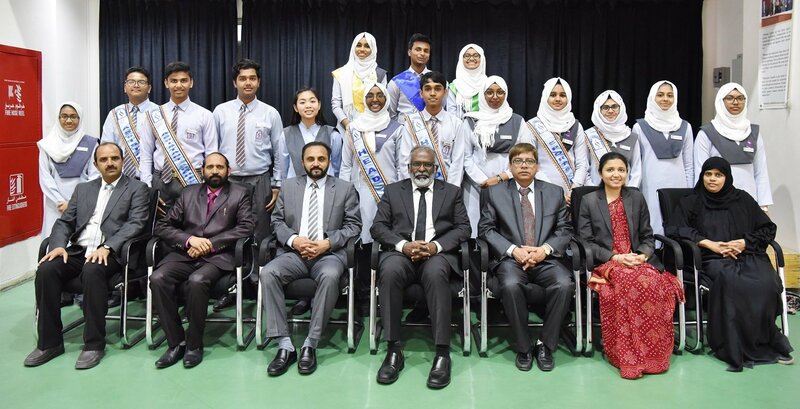 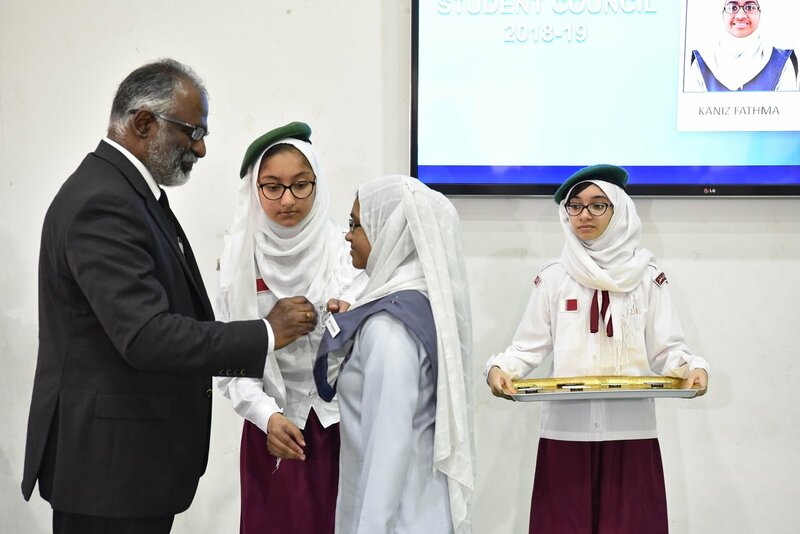 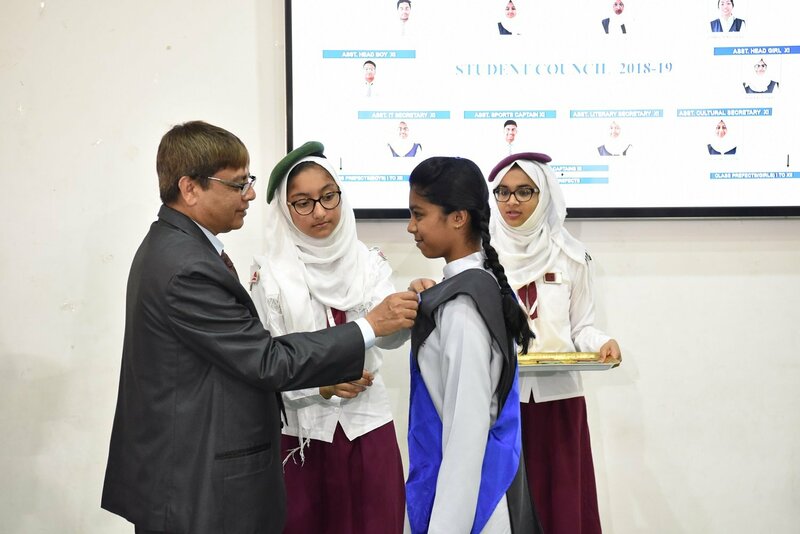 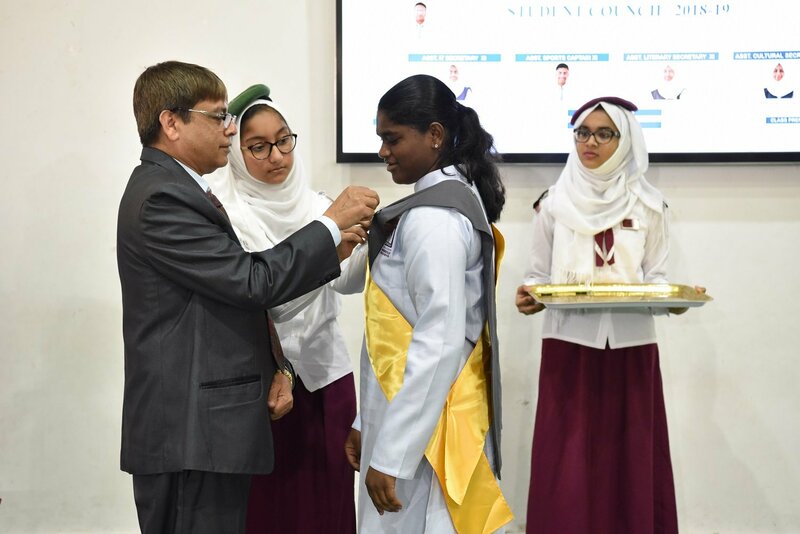 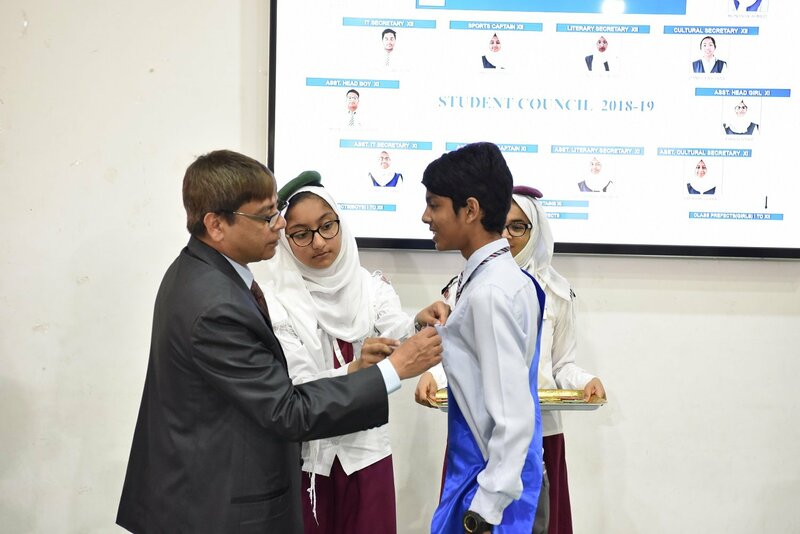 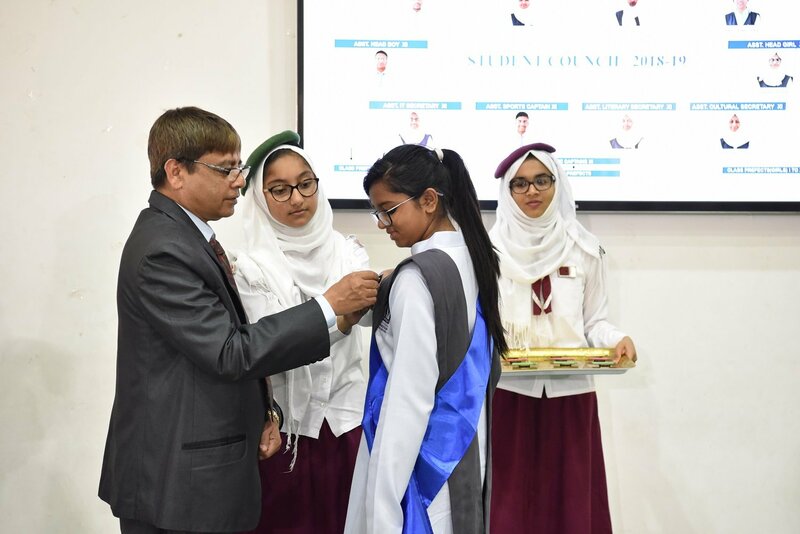 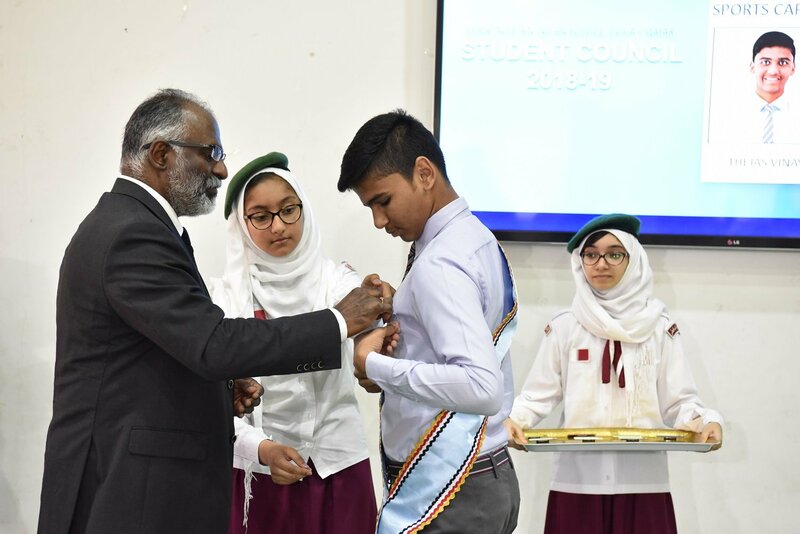 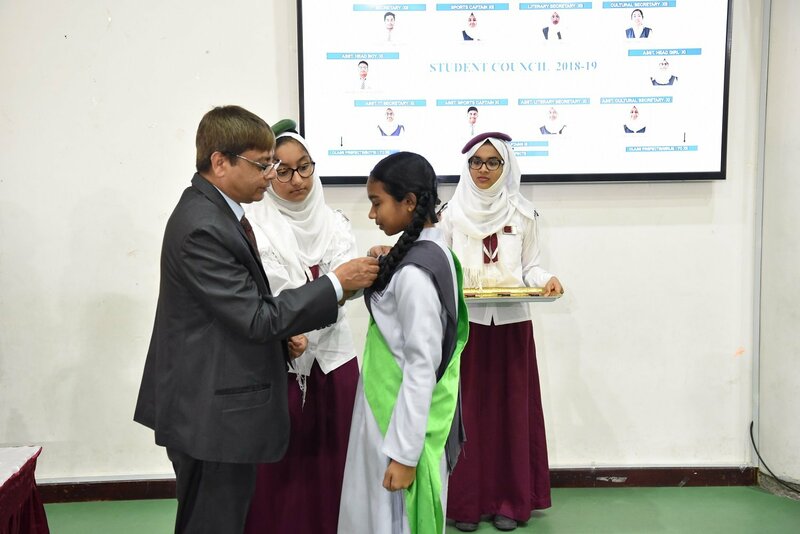 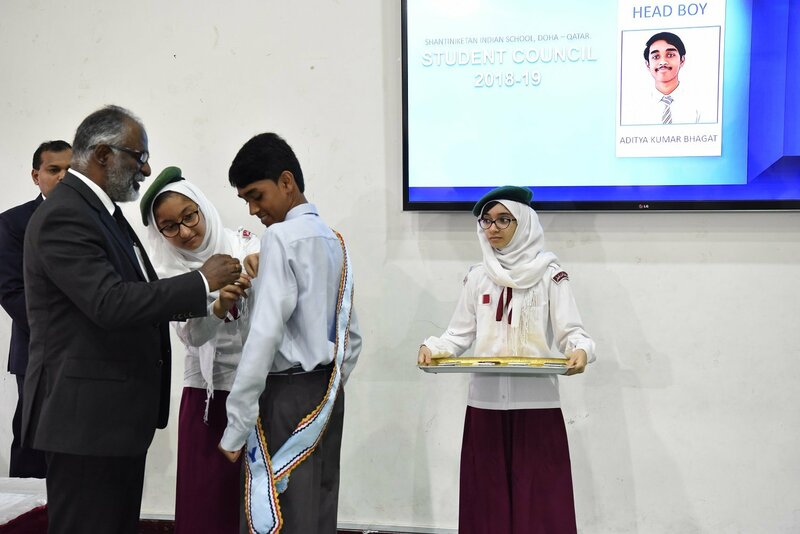 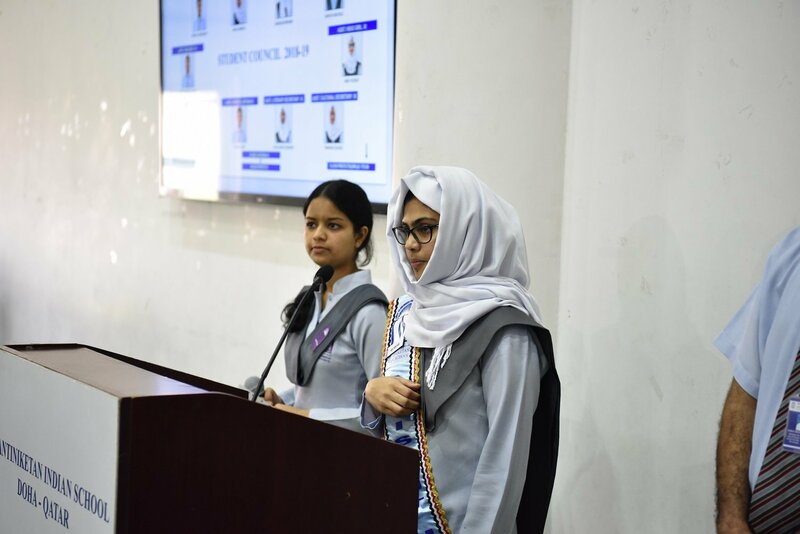 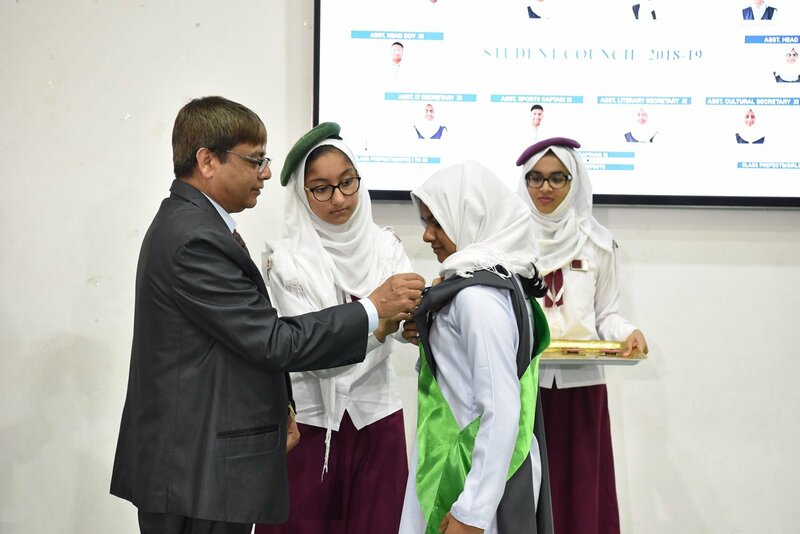 SIS Students Council Members were conferred with leadership roles for the academic session 2018-19 in a grand Investiture Ceremony. 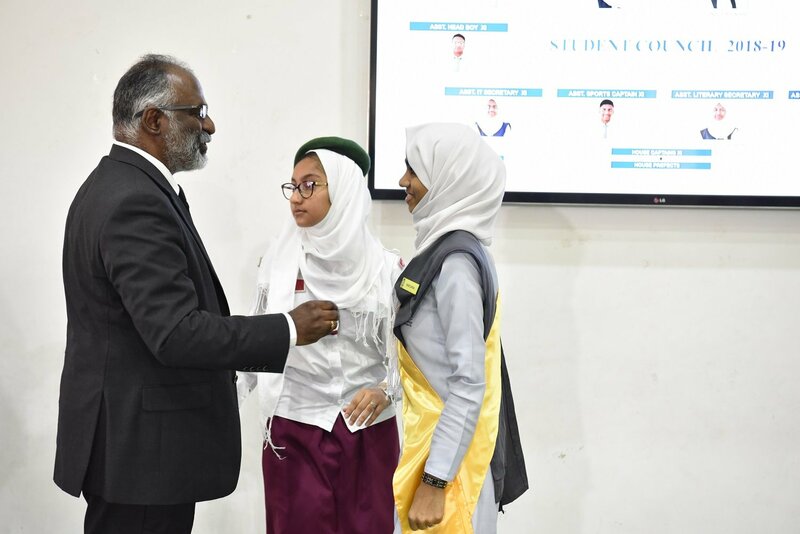 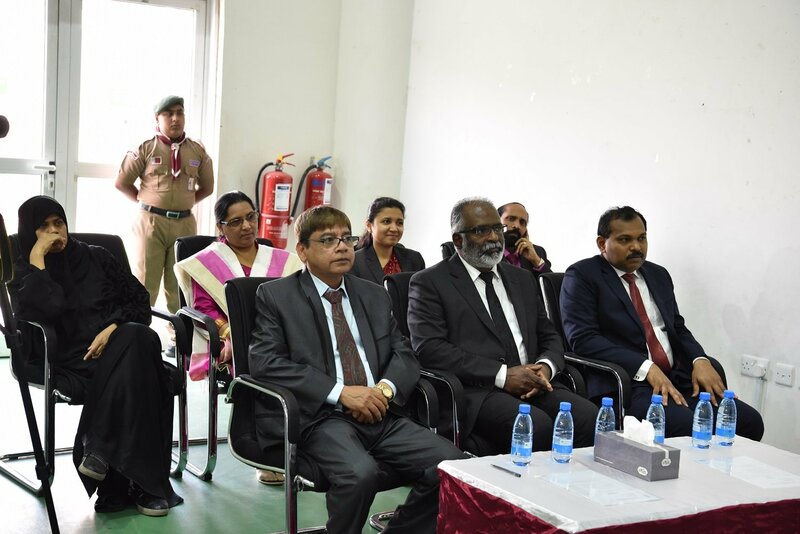 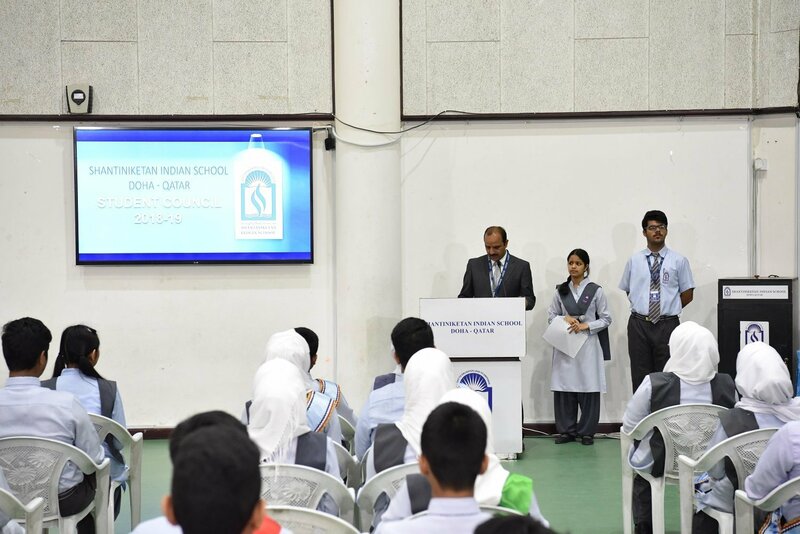 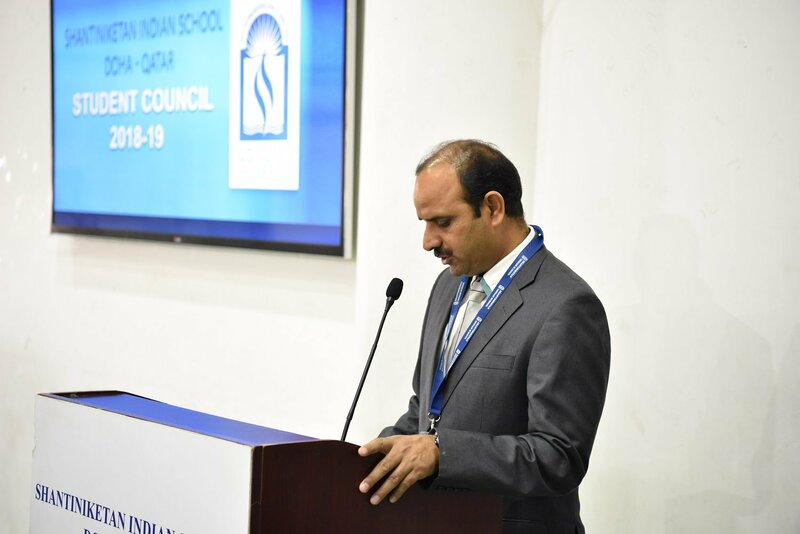 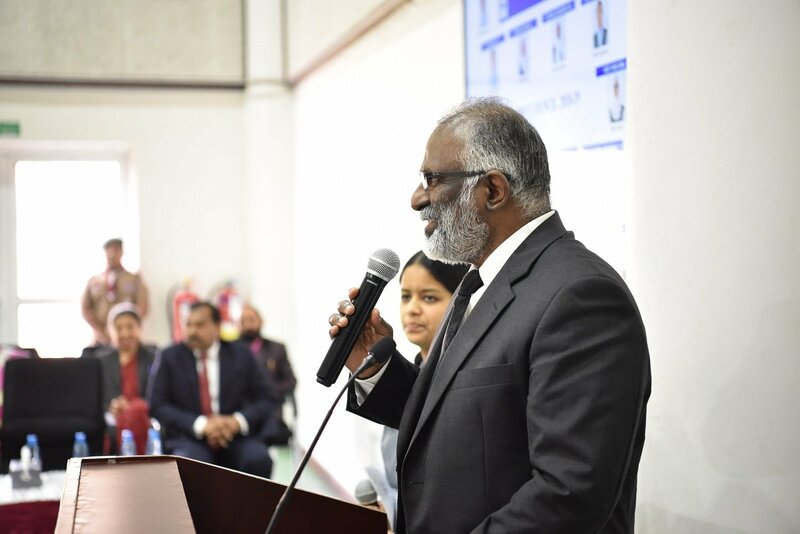 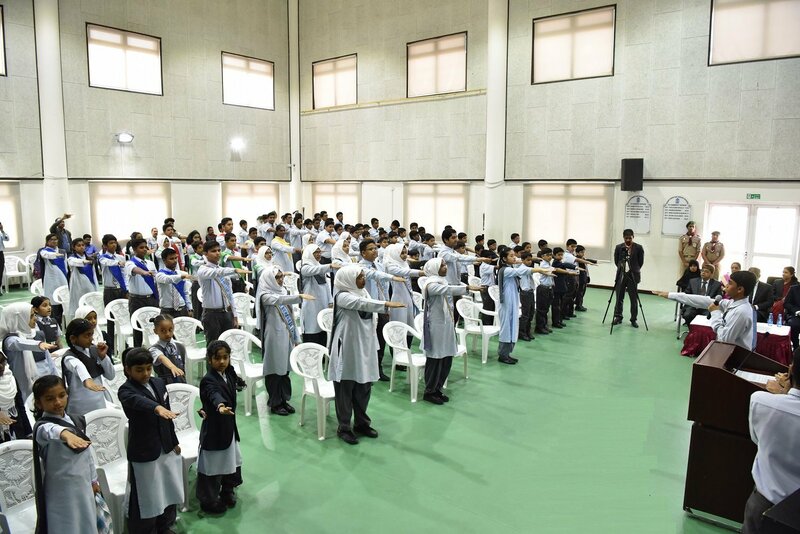 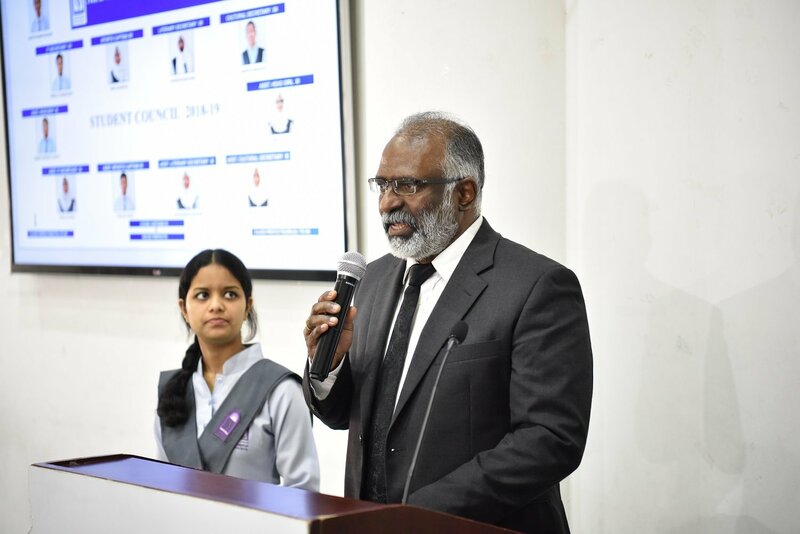 It was presided over by Principal- Dr. Subhash Nair, who inspired the leaders to lead by example and follow the core values of SIS as the guiding factor for development of their leadership skills. 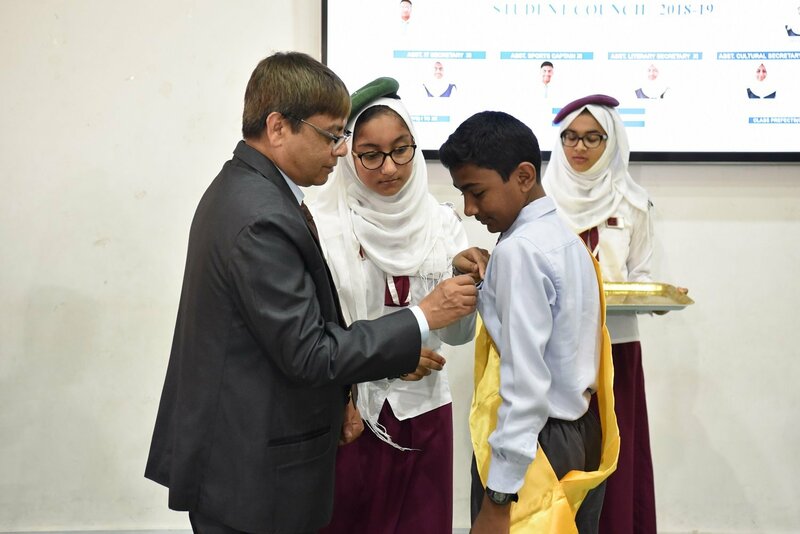 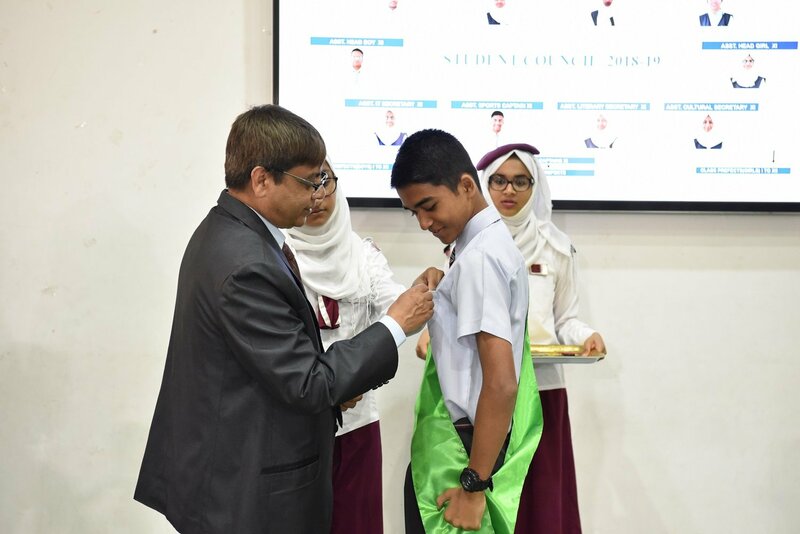 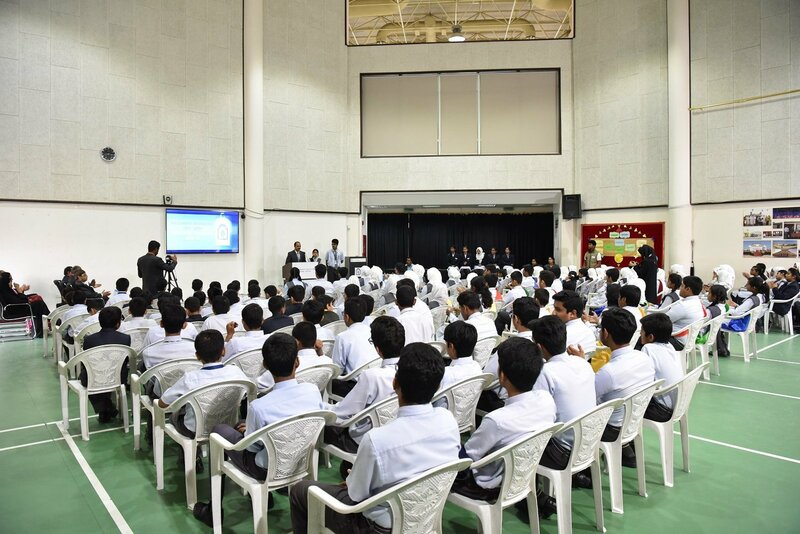 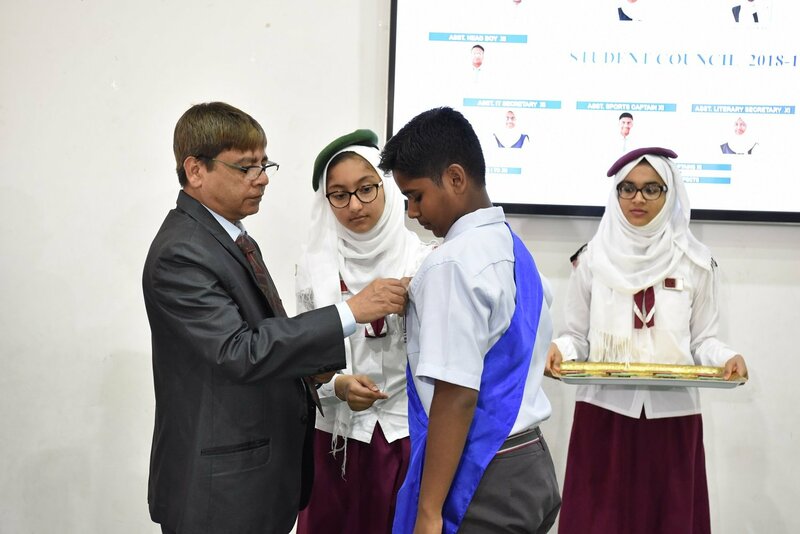 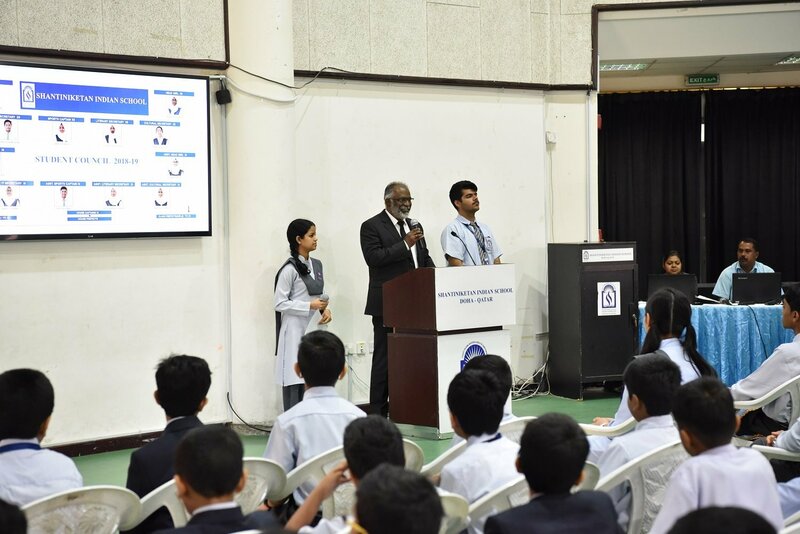 Principal – Dr. Subhash Nair invested the Badges of Office on Aditya Bhagat (Head Boy); Montaha Ahmed (Head girl); Smart Suresh Alapatt (Asst. 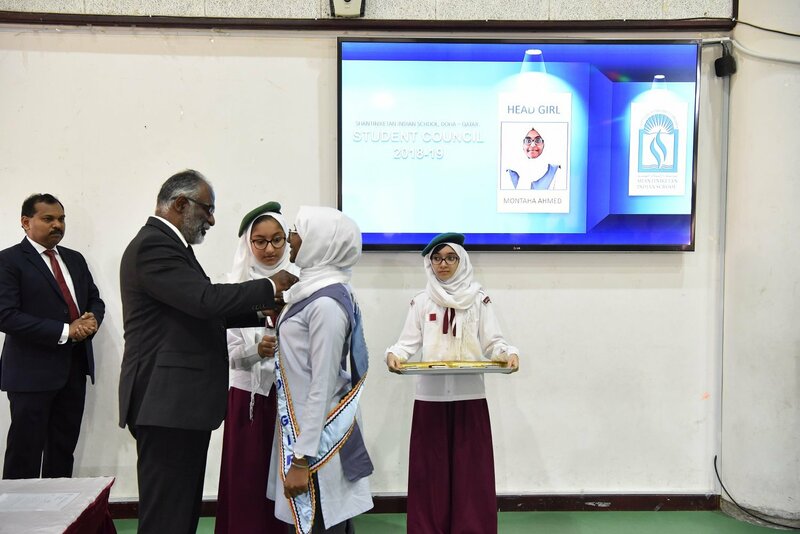 Head Boy); Hiba Yoosuf (Asst. 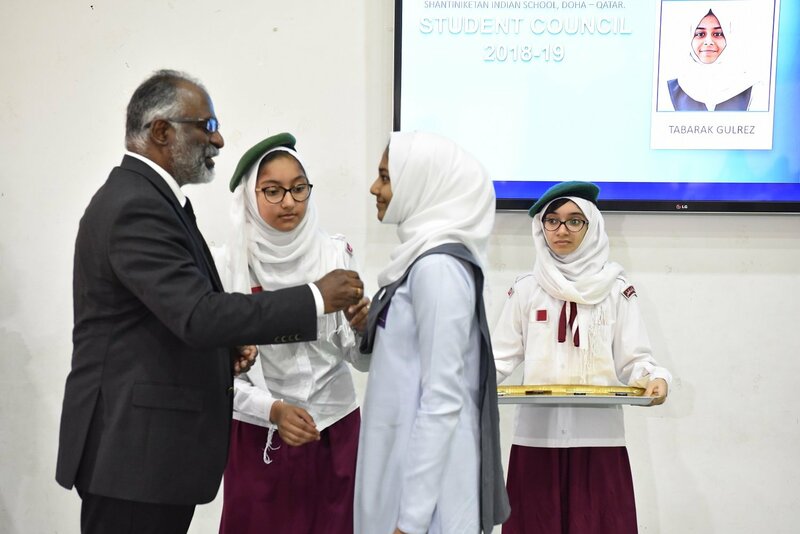 Head Girl); Amal Shabana Puthanpurayil (Sports Captain); Thejas Vinay (Asst. 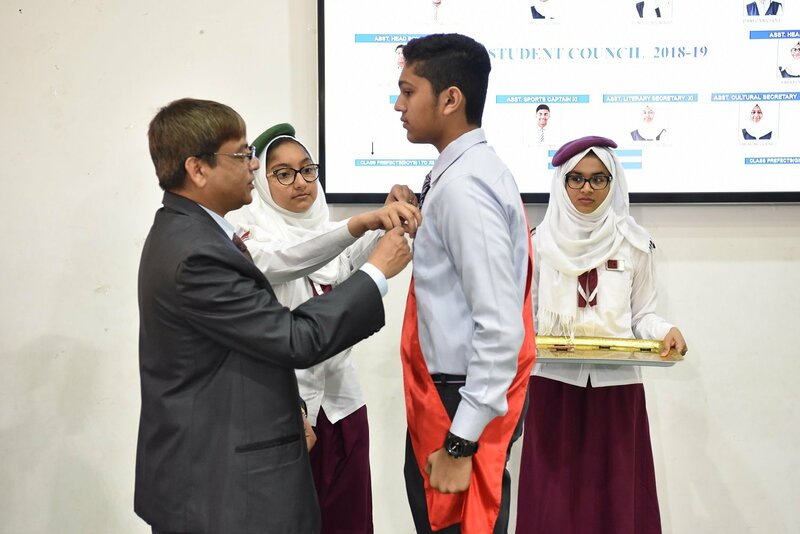 Sports Captain); Rishal Chowdhury (IT Secretary); Kaniz Fathma Sinethyah (Asst. 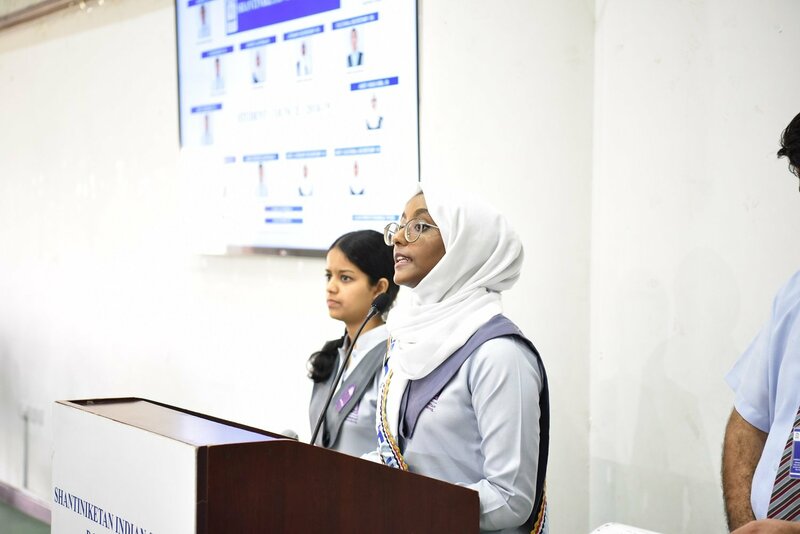 IT Secretary); Sundus Aden Abdi (Literary Secretary); Hafsa Binte Anower (Asst. 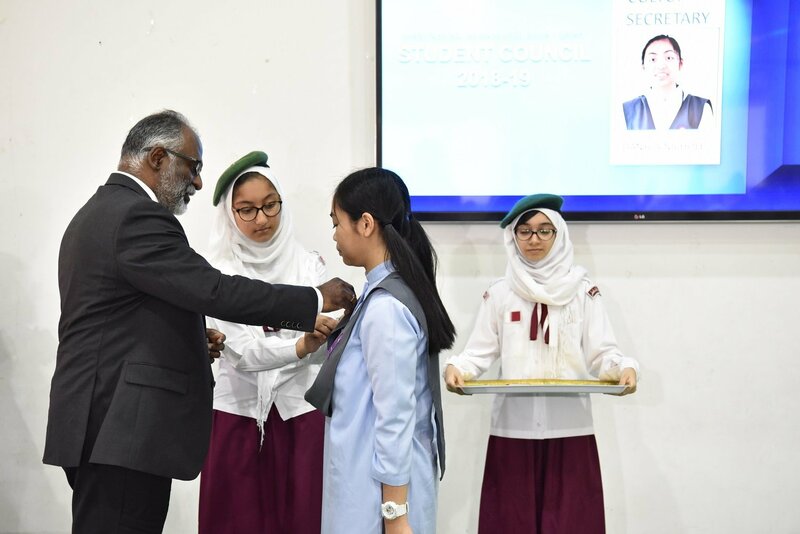 Literary Secretary); Danyca Nichole Vivar Roda (Cultural Secretary); Tabarak Gulrez (Asst. 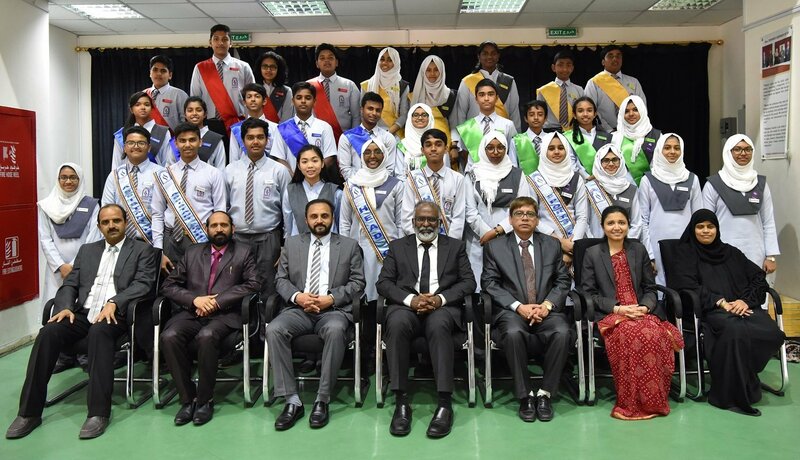 Cultural Secretary) and all House Captains and House Prefects. 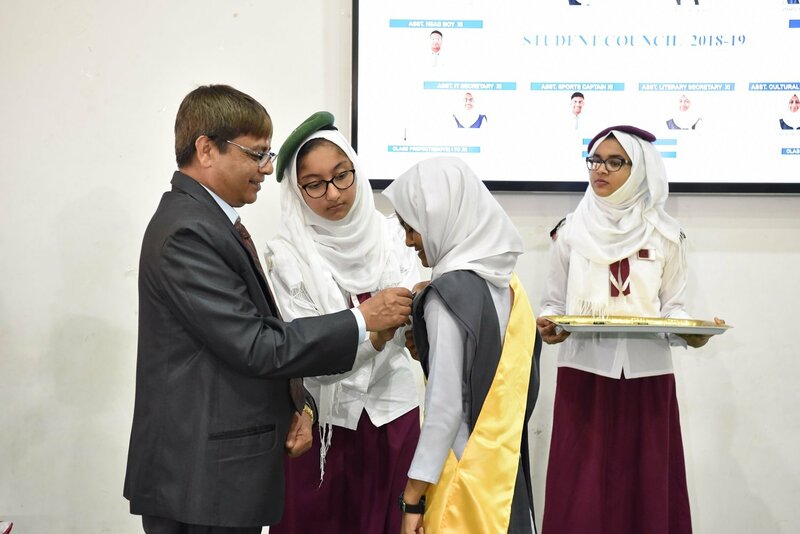 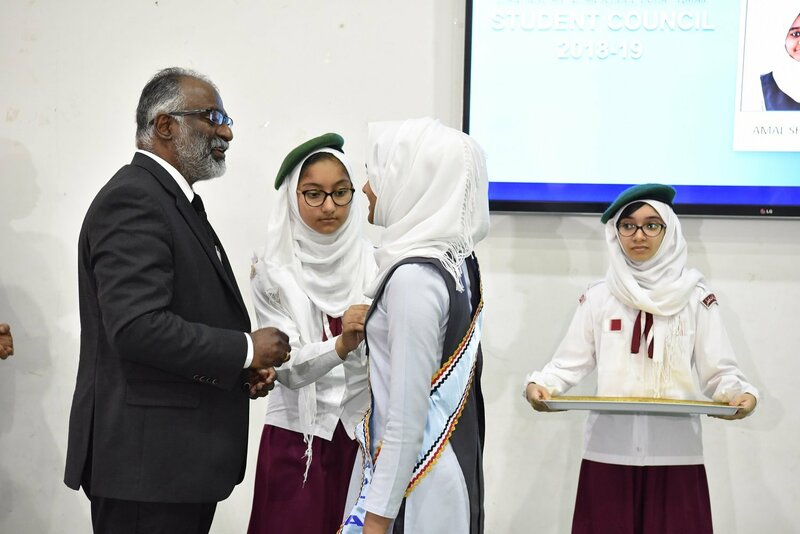 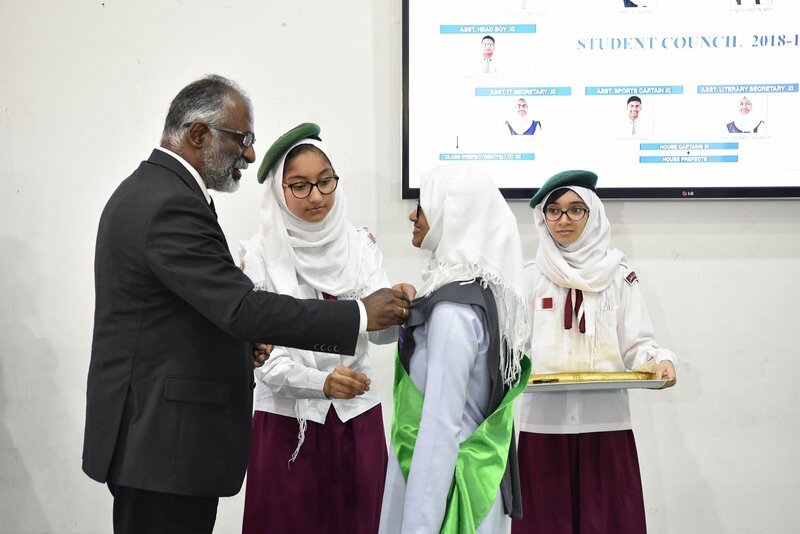 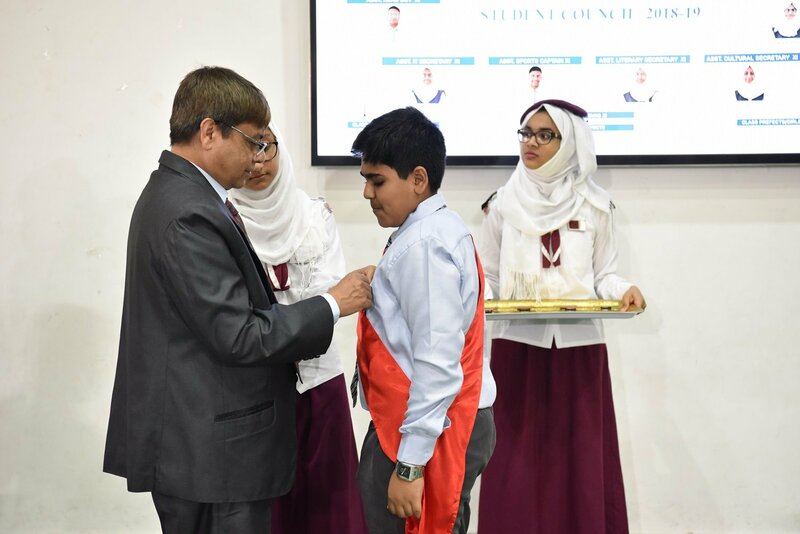 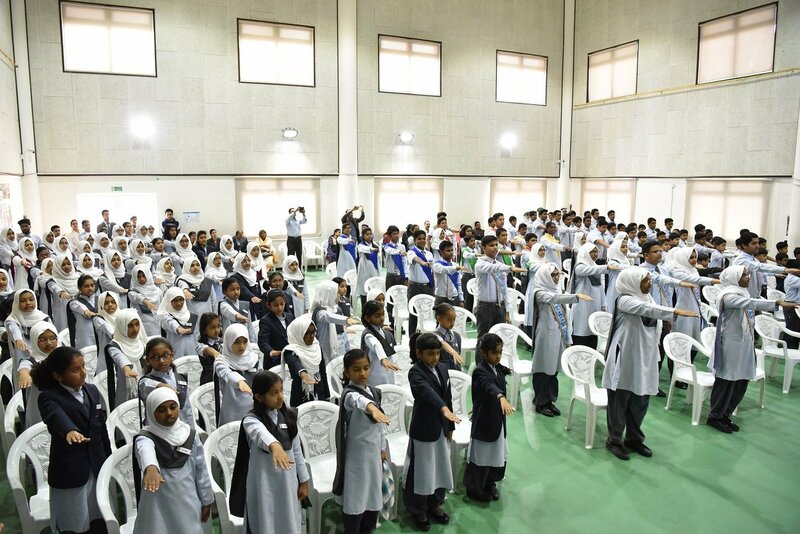 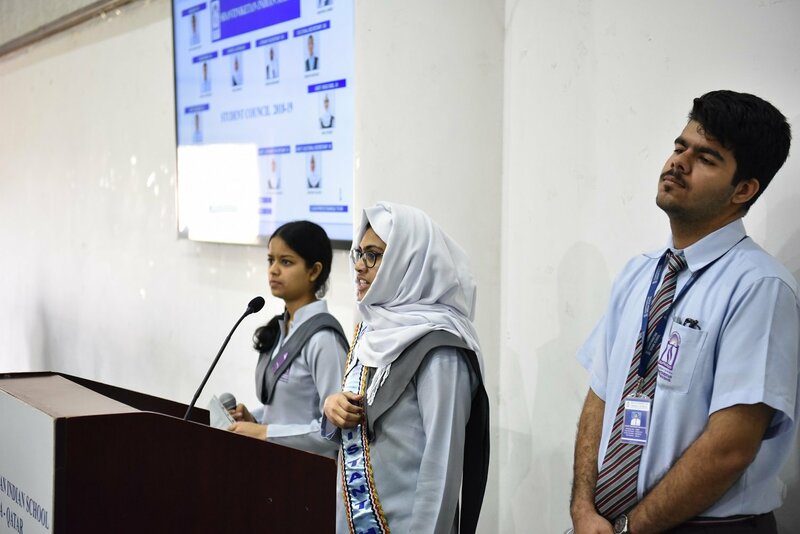 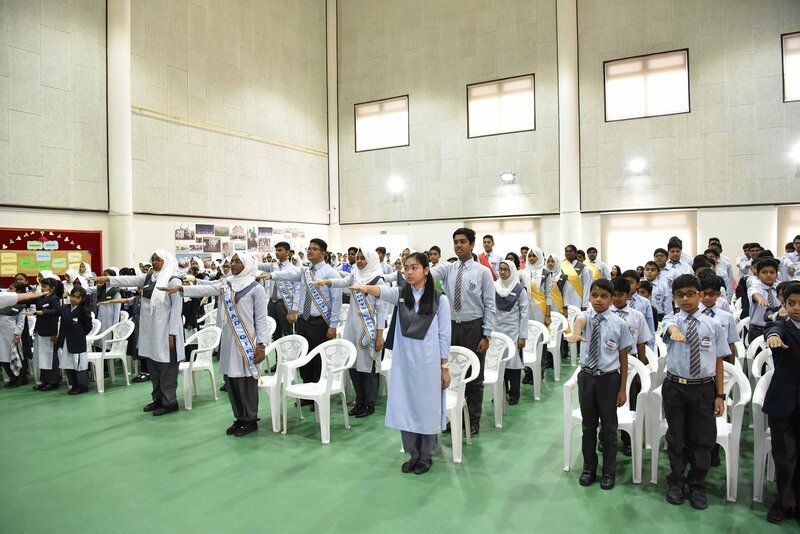 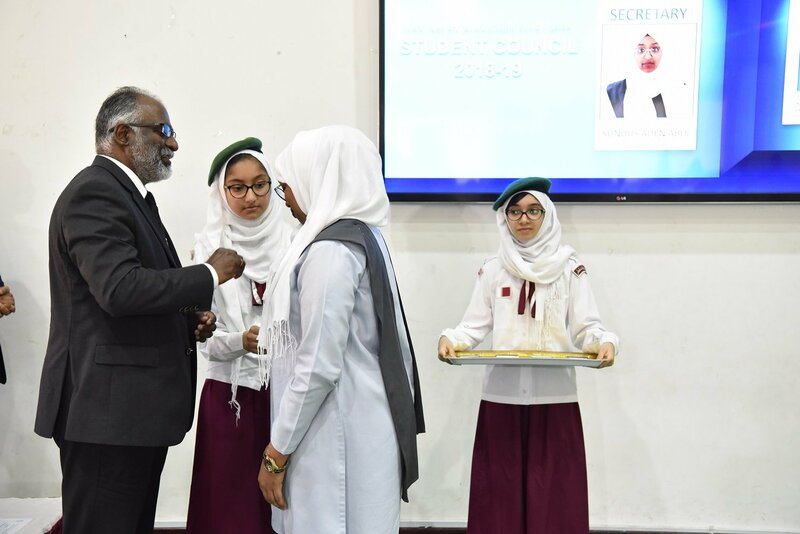 It was a moment of self-contentment and achievement for parents as they witnessed their children being inducted in different leadership positions.